If you have always been passionate about the sports industry, but you do not have the athletic ability to play professionally, you may want to consider becoming a sports accountant. Just like any other type of organization, there is a need for trained accountants to record financial data in the books, analyze data and even process payroll to the team and staff. For numbers oriented people who are talented accountants, working in the sports industry allows you work in an industry that you love while you do something that you are skilled at. 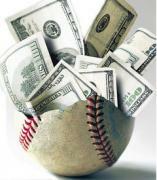 Read on, and learn more about the duties of an accountant in the sports industry. If you work for a small recreational organization, you could be responsible for all accounting duties. For those who work in a larger organization, you will have a specific title and a specific list of duties and responsibilities. It is up to you to decide what you would like to do and what setting you would like to work in. For professional and college teams that sell merchandise to their fans at venues and in retail, you could hold the title Merchandise Accountant. When you specialize in merchandise accounting you will manage the inventory, set prices, review revenues, and come up with strategies to earn more. You may also want to consider applying for a payroll accounting position, where you manage compensation of players, coaches, trainers and other staff members. You will draft salary contracts, compensate based on performance and contract terms, and oversee tax regulations when you hold this title. As you climb your way up the ladder you can work towards becoming a controller for a sports organization, according to Accounting Tools. With this executive title you will oversee payroll, merchandise accounting, and all accounting activities. You also work with other finance professionals to discuss profitability and strategy. There is a lot of competition in sports accounting, but with the right qualifications and knowledge you can land a position in professional or recreational settings. Before you will even be considered for a position in the industry you need at least a bachelor’s degree in accounting. If you have a Master of Business Administration in Sports Management or in Accounting, you are much more likely to land a position over those with an undergraduate degree. The MBA in Sports Management is a better option, because it covers subject areas and core areas that are specific to the sports industry. With an accounting degree, you can go on to concentrating in sports management and then expand all of your horizons by showing how committed you are to the field and the industry. The average salary of a sports accounting professional who works with a firm that works with sports companies is around $74,250 per year. Your actual salary will depend on your location, the organization, the setting, your title and how much experience that you have, according to the Bureau of Labor Statistics. You must be willing to get a formal degree, pursue your CPA credential, and earn a graduate degree once you see if you like the field. If you can do this and attract the sports organizations that are hiring, you can balance books, process payroll or even oversee the entire department as a lead sports accountant.